Represents Lord Sun. The wearer gets limitless administrative capacity. He gets leadership quality. 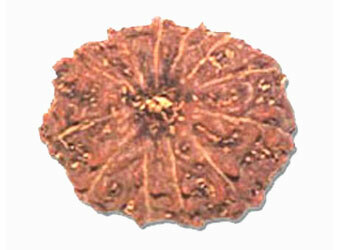 Twelve face rudraksha is symbol of Aditya. It is also worship as twelve Jyotirlinga. One who wears twelve face rudraksha became favorable to Lord Vishnu. 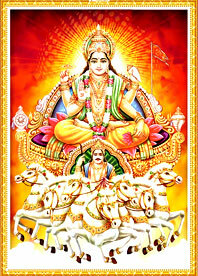 It is also worship as the symbol of Sun (Surya). Effect of wearing it eradicates all physical and mental illness and helps to achieve propperous life. Helps in ruling and creating a powerful aura round oneself. Malefic effects of the Sun are controlled. It should be wear on head or on neck.